Schut enjoyed a productive spell with Sundowns from 2012 to 2015, skippering the club to league and Nedbank glory before returning to his native Holland where he has since retired. The Dutchman was revered for his leadership abilities and calm presence at the back in Tshwane, catching the eye of an up-and-coming Madisha. The 23-year-old enjoyed his breakthrough season in the PSL last term and continues to grow in stature under Masandawana coach Pitso Mosimane. 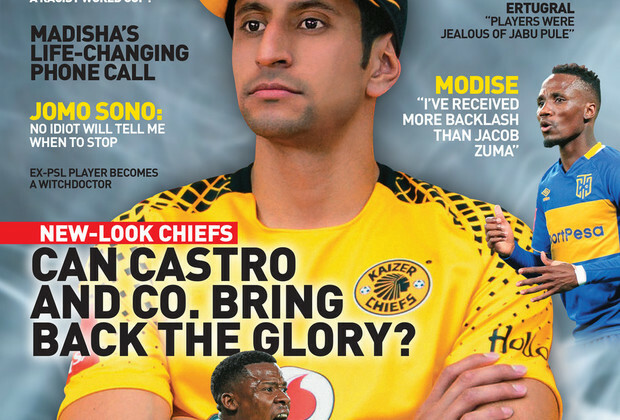 "Locally I used to watch Alje Schut, who was one of our former defenders," Madisha told the February edition of KICK OFF Magazine, which is on sale. "I also look up to Ricardo Nascimento. He is a good player and there is still a lot for me to learn from him," he said of his teammate. "I learn a lot from the centre-backs at Sundowns. They are playing a big role in my game to help me improve." He added: "Now that I am playing, I always ask myself what I need to do to take my game to the next level. I am still working on it. But watching other defenders also helps me improve my game." For more on Madisha's life-changing phone call, his support system, and an area of his game that needs improving, get the February edition of KICK OFF Magazine - on sale now! Prefer reading KICK OFF Magazine on screen? DOWNLOAD a digital copy of the magazine here!